Name of business or product: Breck Iron Works. We are a general welding shop that specializes in structural steel projects, ornamental welding and Fire on Demand custom outdoor fire pits. Date business or product was launched: Mark Bookman started the business in 1999. What goods do you make here in Summit County? How much do they cost? We can fabricate just about anything out of steel, big or small. We provide the steel for many new local homes and create handmade metal fire pit sculptures. 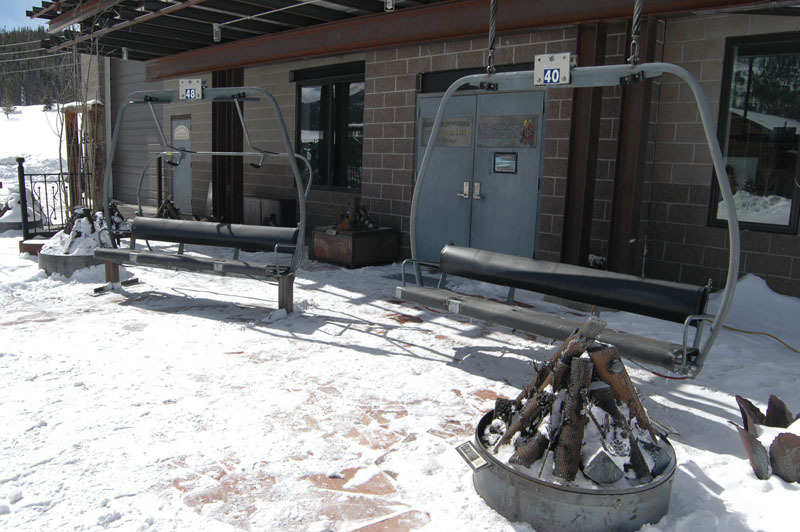 We have recently started converting old ski chairs into functional swings and benches. The price range varies greatly and is based on the job required. What’s great about making your products here? The best part of making our products here is the pride we take in being able to say, “Handmade In Breckenridge, Colorado.” With so many items being made “elsewhere” these days, it’s getting harder to find quality, locally manufactured goods. We take a lot of pride in our work and in our community, and we hope it shows. What’s new with your company or product? We built a new welding shop two years ago at 182 Continental Court. We have added a fire pit demo area, where customers can test burn different custom log sets. We also acquired some authentic ski lift chairs from the “Colorado Super Chair” that we are modifying to create benches, swings and hanging swings. The shop is open for anyone to stop by, so feel free! Why do you think it’s important for people in Summit County to buy locally made goods? It’s simple: We need to keep the money we spend local, so it continues to support local companies. We also have eight, year-round, local employees that continue to contribute to the community. How can people find out more about your products? More information about our custom steel fire pits can be obtained by visiting fireondemand.com, or you can stop in and see them in person. Come check out some of our ski chairs, and talk to us about your next welding project. Thanks!